Browse kitchen-furniture suppliers by country and region. Modular kitchens in desired colour and sizes with high gloss uv topcoat. Short on time? 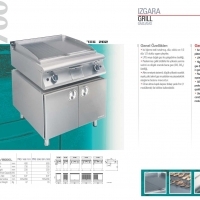 Let kitchen-furniture sellers contact you. It can be made from platiwood plywood , mdf and marineply with sunmica. We can also provide kitchens for hotels and industry. According to design and availability. We are leading manufacturers of wide range of various modular kitchen furniture and kitchen cabinets ranging from traditional to contemporary, with used grain solid wood. Our modular kitchen is designed for better space utility and storage. One of the most significant ways to give your kitchen a new look is to replace your cabinet to a modern and elegant one. There are plenty of decisions come to mind when we think about layouts of the cabinets as an important aspect of whole kitchen design. 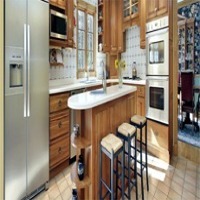 DP Doors offers kitchen cabinets that can really positively affect the way you use your kitchen every day. All kitchen cabinets and kitchen furniture are manufactured by automated machines while the final finishing and testing is done by real humans for no gap between the quality and customer’s expectations. Our all modular kitchen products are made by finest and chemically treated wood (as per International Standards) to make it highly durable, termite resistant, heat resistant, warp resistant and break resistant. Modular Kitchen Cabinets & Kitchen Furniture We are leading manufacturers of wide range of various modular kitchen furniture and kitchen cabinets ranging from traditional to contemporary, with used grain solid wood. Our modular kitchen is designed for better space utility and storage. One of the most significant ways to give your kitchen a new look is to replace your cabinet to a modern and elegant one. There are plenty of decisions come to mind when we think about layouts of the cabinets as an important aspect of whole kitchen design. DP Doors offers kitchen cabinets that can really positively affect the way you use your kitchen every day. All kitchen cabinets and kitchen furniture are manufactured by automated machines while the final finishing and testing is done by real humans for no gap between the quality and customer’s expectations. Our all modular kitchen products are made by finest and chemically treated wood (as per International Standards) to make it highly durable, termite resistant, heat resistant, warp resistant and break resistant. In particle and marine plywood. We can manufacture the furniture to clients specification. Or you can choose from our range of product.We are using MFC board for carcasses and the kitchen doors can be made of MFC board or MDF wrapped with PVC foil(70colors and 45 patterns) Please contact us if you would like to receive more information . Flat packed furniture on pallets. Sink in teak root with evacuation hole of 45mm, finishing P.U. Hutch Size:- 140 x 50 x 180 (cm). Artenova Metal Ve Ahsap Ur.San.Ltd.Sti.